Since the title abstract process and the acquisition of title insurance is an integral part of buying or selling a home, we formed an underwriting relationship with Stewart Title Guaranty and WFG National Title Insurance Company. Stewart Title and WFG have over 124 years combined of title expertise across the industry and around the world for all transaction types and is recognized for their strength and stability. Factfinders and Foxxview act as a single point of contact to bring the real estate agents, mortgage company, buyers, sellers and other service provides together to simplify your closing. We take pride in our “old fashioned” work ethic and outstanding customer service. Our clients have confidence in our service, which reflects work of the highest standard. Our friendly and knowledgeable employees are always ready to help with questions or problems. We have flexible hours and competitive rates. All of our work is insured. E & O insurance is furnished on request. Foxxview Title was a breeze to work with! 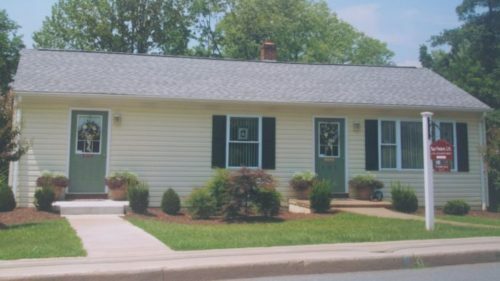 I was a first time home buyer and very nervous, we used them for the closing of our mortgage loan. They answered every question thoroughly and never made me feel like I was a burden. I highly recommend Foxxview to anyone for their closing needs! Please feel free to fill out the form below and include any questions, comments or suggestions you have for Factfinders and Foxxview. We appreciate your input! 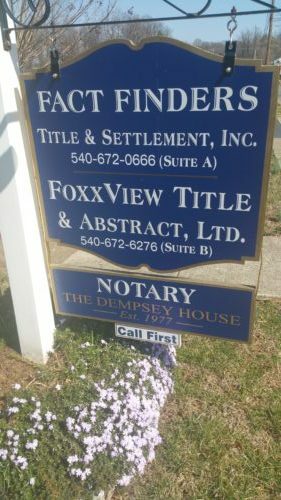 Factfinders Title & Settlement and Foxxview Title & Abstract are full service real estate closing, title, and settlement companies.